Here is a summary of the open and inspiring conversation that took place between Marcus Gipps (editor at Gollancz) and guest-of-honour Scott Lynch on 24 Sept 2016. The summary was put together by A J Dalton (Gollancz author), audience member. Marcus Gipps [MG]: So, Scott, when did you start writing? And why fantasy? Scott Lynch [SL]: It was basically laziness. I wasn’t much of a fantasy reader early on in my life – I was reading scifi instead. From the local library I was borrowing True Story Adventure Books (the US version of Fighting Fantasy style choice-stories), John Christopher’s Tripods sequence, and The Prince in Waiting, and Doctor Who novels. I was reading Doctor Who from like 8 or 9 years old, and hadn’t even seen the TV show. My idea of Doctor Who from the books bore very little relation to the TV show, actually! I read ‘Remembrance of the Daleks’ and William Gibson’s Neuromancer, and they had huge influences on me. I read Frank Herbert’s Dune like ten times. I was disappointed to learn Herbert died when I was just 8. Then this guy in a corridor at school comes up to me, puts a copy of Raymond E Feist’s The Magician in my hand, says ‘Dude, read this!’ and walks away. I was in the book shop buying the whole sequence just four days later! That’s how and when I started reading fantasy. I wanted to be a musician, and was only held back by the issue of not having any musical talent whatsoever. Then I wanted to be a comicbook artist, and had some ability, but realised I was just dicking around while others were really dedicated and hard working. So, because of that laziness I mentioned before, writing somehow ended up being the easiest path for me. By my late teens, I was realising that writing was it. In my twenties, I was living a ramshackle life. To get money, I started self-publishing D&D materials, because Wizards of the Coast were kind of open source with it. I learnt a lot of craft there, concerning magical systems and organising a world. Once I started writing books though, I realised that was my preference and where my energy should be – gaming can be frustrating when the other players just don’t do what you want them to do! MG: How did you get published? SL: I was bitten by a radioactive printing press. No, I was lucky enough to be a member of an online forum that had real writers on it (like Neal Asher and R Scott Bakker, etc). Us aspiring writers all liked to moan and say exactly how things should be in fantasy writing. One of the writers then challenged us to write something or just shut up. I was kind of forced to write a prologue and a scene from The Lies of Locke Lamora. I put up a blog called ‘Newbie writes a book’, which was all of four posts. The writer who’d challenged me said, ‘Good work. Write the rest.’ And one person on the forum was an acquisitions editor, which never happens of course. It was Simon Spanton of Gollancz. He emailed me! He asked for more. I said, ‘Give me 48hrs!’ I wrote the whole first chapter of Lies and sent it to him. He said, ‘It’s brill. Where’s the rest?’ I didn’t have the rest, of course. Eventually, Gollancz said, ‘We have faith. We’re buying it.’ By late 2005, Lies was done and I haven’t had to do respectable work since then. MG: The well documented break between books two and three, a period you’ve been very open about, seemed to help with the success of Lies? SL: Yeah. The break allowed word-of-mouth to spread. It’s the long-tail and networking effect. It’s nothing I consciously did. It was huge luck and the human decency of people who bought the books. MG: And you were being very open about your clinical depression. SL: It was kind of forced on me. A guy interviewing me said, ‘We’ve not heard from you for two or three years. Where have you been?’ It struck me nakedly – I thought, ‘Either I’m open or I dodge this question for the next three years.’ Being open was an act of self-defence. It was useful. It was therapeutic. I was going through a divorce. It takes anyone months to realise they’re not a failure. Clinical depression is often driven by a cultural requirement for self-sufficiency. The attitude is unhealthy. My grandma lived six decades in a marriage like that. She even reached the point where she slipped and broke her arm but didn’t want to ‘bother’ the doctor. It sounds ridiculous, but that is what happens and where it can get you. Once you open up, you realise it’s not just you. The failure is not just you. Depression, when you are isolated, is a self-feeding and self-defending illness. When you share about it, you find similar symptoms in other people and it ends the silence and self-feeding isolation. MG: Queen of the Iron Sands? What is it? Why? 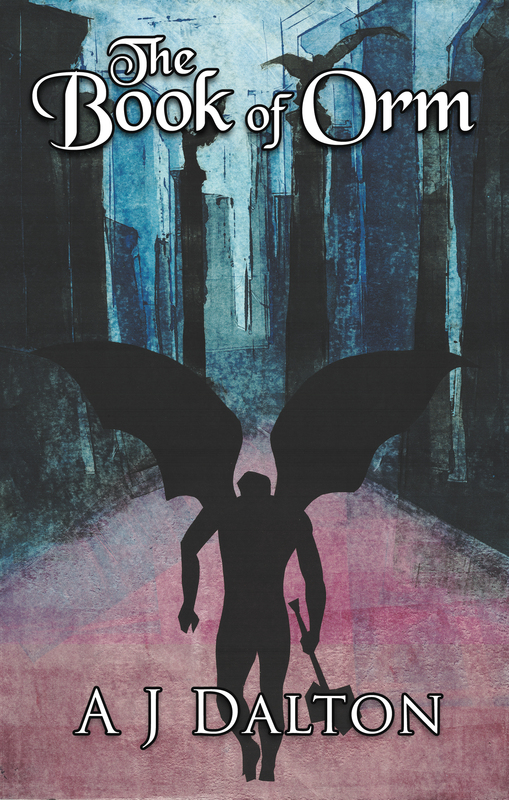 SL: It’s an online serial novel I started in 2009. Back then, it was a different digital landscape. There was no crowd-funding, just the ‘donation model’. I would put up a piece in the series and ask for donations in order for me to complete the next piece. The model doesn’t really work – you get one-off big donations, a few small ones, and then a lot of no-donations. We had fun with the series though. I wanted to write a Flash Gordon serial where Ming was not useless and incompetent. It was also self-therapy – but the seven episodes show how successful it wasn’t in the longer-term. It’ll be finished before 2087, I hope. Brandon Sanderson will probably have to finish it. MG: And the future? You have The Thorn of Emberlain coming. Was it always a seven-book series? SL: I might make it 49 books, Marcus. That okay? No, I’m a believer in sticking to what you say in terms of the number of books. I hit on seven as a number between three and infinity. I don’t want a series splitting and becoming unmanageable. I’m big on structure. I’m a structuralist. The number of books is significant. 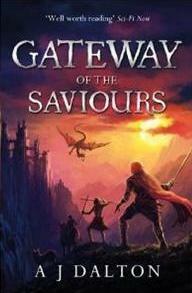 With The Republic of Thieves, I gave Simon Spanton at Gollancz half the book and said, ‘Let’s end on a cliff-hanger. I’ll do part two another time.’ Simon, to his infinite credit said, ‘Let’s park that and wait till you get better. And I now see he was right.’ The Wheel of Time was meant to be a trilogy! I don’t want to do ‘Hitchhiker’s book five in the trilogy’. I want to land the thing properly in seven books. Question from A J Dalton in the audience: Who was your favourite Doctor Who? And would you ever write a Doctor Who novel? SL: Oh, whatever answer I give is going to be like blasphemy to some. My favourite Doctor was… Sylvester (and my second was Tom Baker). Look, I was a lonely kid. I saw the novel ‘Remembrance of the Daleks’ on another kid’s desk and the cover and style of it was fascinating, like an artefact from an alien world. It opened other worlds to me. It was a Sylvester book. I wrote Doctor Who fanfic as both a kid and an adult. I would murder my own grandmother to write a Doctor Who novel. But I should finish my own book first, should I, Marcus? MG: I’ll do you a deal. Hand in your own book first and I’ll introduce you to the head of BBC Books. 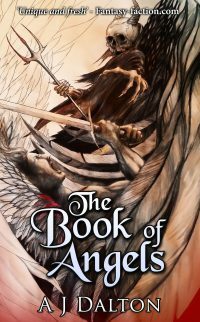 BIG FANTASY AUTHOR INTERVIEW: STEPHEN DEAS!!!!!!!!!!!! 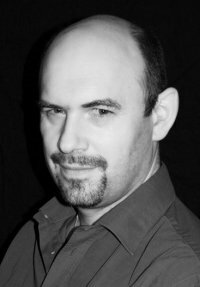 Stephen Deas is the author of the smash-hit novel The Adamantine Palace (as well as many others). I held his little toes to ransom until he give us this exclusive interview. 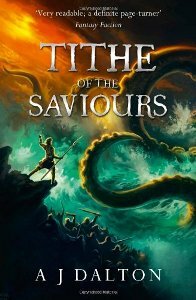 It’s full of insight and secrets on how to become an international fantasy author – or your money back. Enjoy! Stephen, your books (The Adamantine Palace, Dragon Queen etc) are big on dragons. What is behind the human fascination with this fabulous beast, do you think? I’ve written about this elsewhere before but I think it comes down to a dragon being the embodiment of physical threat. Consider life as a caveman for a moment, before the first real civilisation started to impose a human order on the world: the things that were clear sharp immediate dangers were things that might stomp on you, things like stampeding mammoths and bison and the like. They were things with fangs and claws that might fancy snacking on you – lions and tigers and bears, oh my. You might throw in the largest birds of prey for snatching babies and small children and of course you can’t chase after them because they can fly and you might throw in snakes too. And then there’s fire – every animal knows to be afraid of fire. A dragon wraps all those threats up into one neat package – it is the embodiment of immediate, obvious, physical danger. I think, possibly, you could argue a case for tracking the rise of other monsters through the evolution of civilisation. The vampire is, perhaps, the embodiment of moral threat and more recently the zombie becomes the embodiment of existential or spiritual threat; but that’s a thesis for someone else with a lot more time on their hands! Of all your books, do you have a favourite… or do you love all your children equally? I always think the one I’m working on that I’ve nearly finished is the best thing I’ve done. I’m trying to look past that for you but even then I honestly think that Dragon Queen is the best so far, although it’s been likened to drinking undiluted orange juice. Although it leans a little on what has gone before in other dragon books, it’s really the beginning of a new story so it’s as good a place as any to start and it also has an entire act that’s basically Call of Duty: Dragon Warfare. After that, The Black Mausoleum is perhaps the tightest and most focussed of the dragon books. 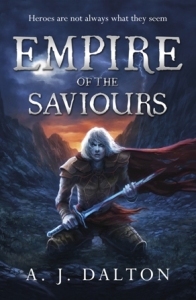 I have a soft spot for The Warlock’s Shadow too, the second of the thief-taker books, and I’m also really quite proud of Empires: Extraction, one of a pair of SF novels that Gavin Smith and I are releasing next year. It’s a really hard question – they’re like children: you have to love them all while you’re raising them. Readers always ask authors where they get their ideas or inspiration. Do you have a muse? What’s your secret? Be interested in everything. Be interested in the weird stories from bizarre parts of the world that no one has every heard of. Be interested in the mundane things around you. Be interested in what’s on the fringe and what’s commonplace. Be interested in everything and then let your mind wander without restraint for a bit. Long sessions on the cross-trainer tend to help with the last part. 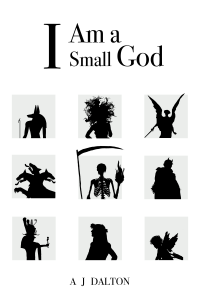 Who’s your favourite fantasy author now deceased? Why them? That’s hard but I’m going to go with Robert E Howard and also with Lovecraft even though I’ve read barely a fraction of his actual work. Both writers with whom many people have issues for their portrayal of race, gender and and such like but there’s a visceral immediacy to Howard that I rarely find elsewhere and Lovecraft’s brand of cosmic horror, doom and madness works for me like nothing else. 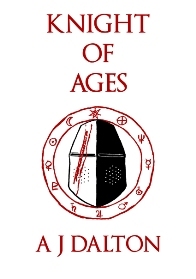 Who’s your favourite living fantasy author and why (apart from Stephen Deas or A J Dalton)? KJ Parker. In part because I’m a big fan of the books, particularly the earlier ones; and in part because KJ agreed to read a draft of a novel I was about to self-publish (an investment of time which I now realise to be a hugely bigger deal than I thought at the time) and was instrumental in me getting my first agent. The freedom to work where and when I like. I get to see a lot more of my kids than I would with a regular job. The total lack of any security. What are you currently working on that you can tell us about without then having to kill us? Edits for Empires: Extraction, one half of a pair of Siamese twin SF novels written with fellow Gollancz author Gavin Smith (Aliens. Snarky spaceships. Sweary SAS men. They fight). Copy-edits and proofing for an SF game tie-in novel that I can’t tell you any more about without having to kill you. Or more likely having my editor kill both of us. Rewrites for a historical detective novel set in the English civil war. If people want to find out more about you, what sites do you maintain and what’s your handle on Twitter? What question have I not asked you that I should have done? And what’s the answer? 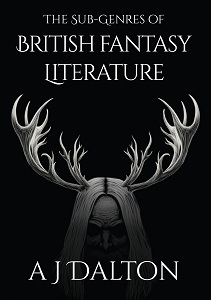 Perhaps ask why anyone should read my particular brand of fantasy rather than any else, particularly when there’s so much available now, not only relatively new authors being published by conventional publishers but huge back-lists from more established writers and a fresh horde who eschew the conventional route and are self-publishing. And that IS a difficult question but I’ll give a stab at an answer: I aim to give you a depth of world design that would shame any but the most dedicated Tolkien imitator and then not show you any more of it than the story absolutely demands. I aim to give you characters who are credible enough and complex enough that you can’t help but root for them even when they’ve done the most terrible things. I give you dragons like no dragons that have gone before, furious fire-filled top-of-the-food-chain monsters with both intelligence and design and a proper contempt for the creatures beneath them. And with all those ingredients, I aim to give you a story that flies like a dragon gone to war, that glides and soars in quieter moments between storms like a roller-coaster of fire, that never lets you go and yet leaves a thoughtful lingering. Judge for yourselves whether I succeed. So there you have it folks, Mr Stephen Deas. Hurrah !